Another tribute from Jurphaas! 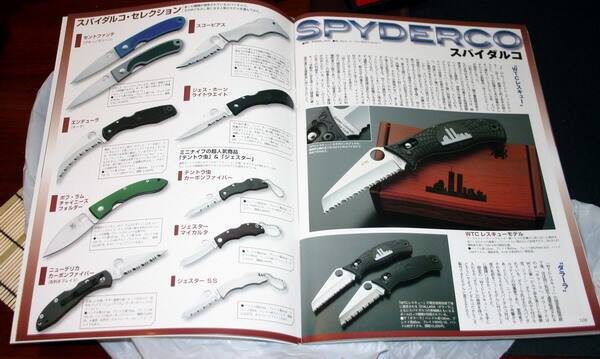 This guy seems bent on overcompensating for a lousy magazine from Japan. But who am I to refuse, as they say in the Land, “Accepting that which is offered honors the giver.” So who am I to argue? 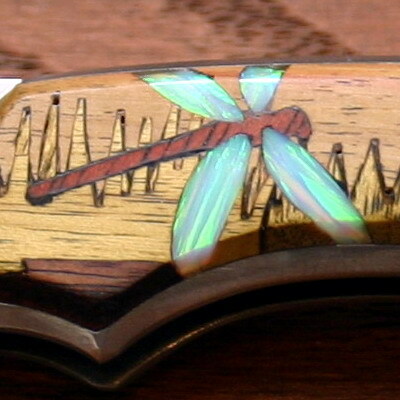 This is my first SE dragonfly, it will remind me of my SE Calypso, but much more pretty. The work is completely seamless with the SS scales, I can heartily recommend Santa Fe for any Spyder-customization needs! I can tell the material consists of some type of stabilized wood, but I’m not sure how the fancy bits are done. Thanks again Jur, your generosity is beyond compare! 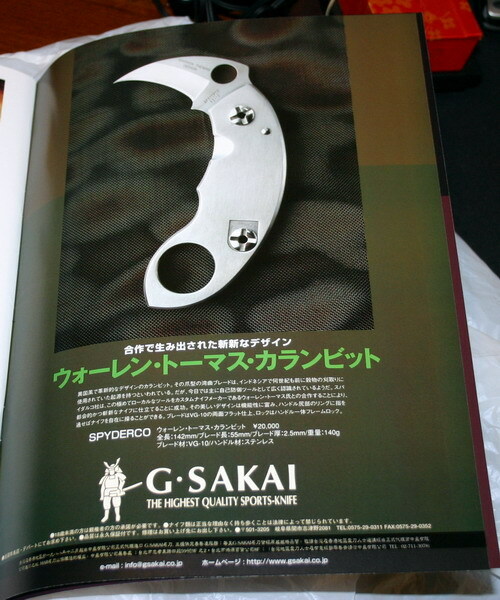 Picked up another edition of KNIFE on my last Japan trip for my buddy Jur, an unexpected bonus featuring a Spyderco article and a proud advertisement from G SAKAI spotlighting the Karambit. Wish I could read kanji. If everyone else can airport blog, why not me? I’m heading up to NoCal again, this time for some fun and business. I’m heading up to NoCal again, this time for some fun and business. I’m sitting in an airport lounge, very empty and therefore slightly creepy on a Sunday evening. Another Q (already sold alas), a Walker lightweight, and a numbered SE Jot Singh Khalsa. 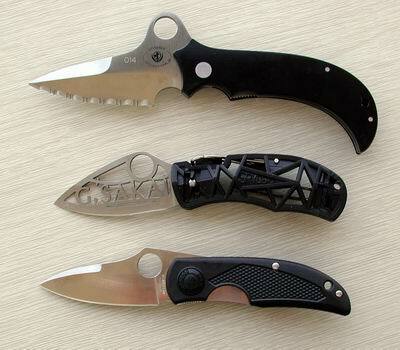 I haven’t had any carry time yet with the Walker or the JSK, but I like the old models with the plastic clips so I may actually use that one once in a while. 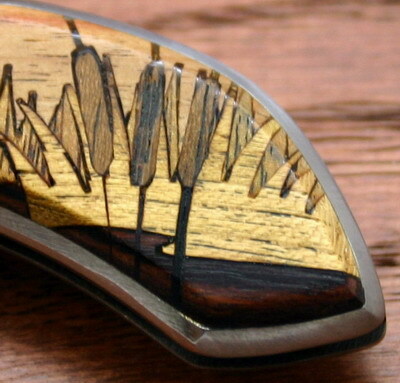 I met Jot once at a knife show, and he was a very nice guy, with a lot of character. 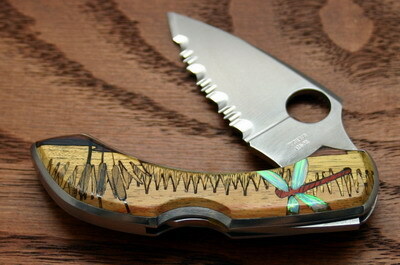 This knife is so different that I’m quite glad I got one. Anyway, off for more airport wandering.